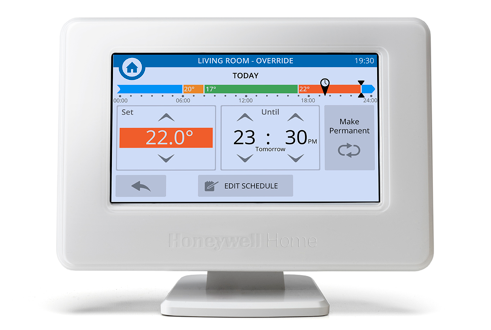 A programmable heating system offering individual control of up to 12 heating zones, plus a hot water system, helping customers manage their comfort level and heating costs. They could simply group rooms that are near each other around the house. Or they could group them according to the activities that go on in each area. They may also choose to create a zoning plan based on how frequently each room is used. Whichever method they opt for, you will need to know how they want to create the zones around their house and work out which evohome components you will need.